Most theatre artists have to slog for a long while at the start of their professional careers before getting any faint public praise, or even mention of their work. Few would dare hope to be cited in the Globe and Mail’s year in review for their first role out of school. But Mattie Driscoll was, for her work in Dry Land, Cue6’s Canadian premiere of Ruby Rae Spiegel’s drama about a fragile friendship between two teen swimmers. Co-starring with fellow Ryerson University alumna Veronica Hortiguela, Driscoll’s Ester was a complex character trying her best to emotionally support Hortiguela’s mercurial Amy, while still harbouring her own self-debasing habits. Ester’s painfully eager efforts to cement their friendship, and find her footing in a new school and community, were vividly embodied by Driscoll, and praised by every publication that reviewed the show. 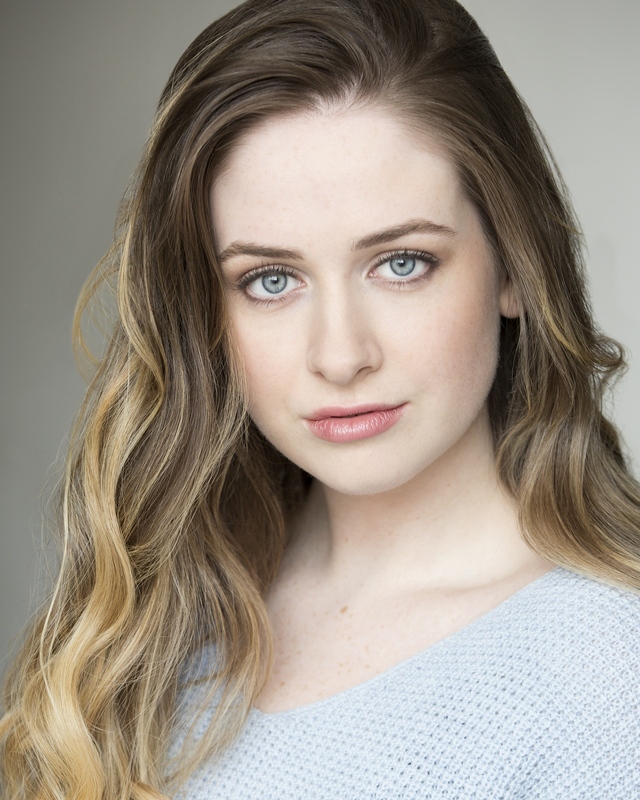 Since her critically acclaimed Outstanding Leading Performance in a Play-nominated post-school stage debut, Driscoll has been working on a short film, appeared in several strong staged reading roles in the Forward March Festival, and will return to Assembly Theatre this summer in a double bill of new works by Sydney Nicole Herauf. My first recollection of theatre is being very little and sitting in the front row at a production of Peter Pan. I immediately fell in love with the magic of it all, and also had an instant crush on the hottie Peter. At that same show. I thought to myself, “Oh, that looks really fun. I think I could do that.” That desire became more serious when I saw a photo of Dakota Fanning in People magazine, where it noted that she was eleven years old. It then became my singular mission to be famous by the time I was eleven. Sadly, did not happen for me. But still trying! What’s your favourite role you’ve ever performed? I really did love playing Ester in Dry Land. It felt super special. It was the most fun I’ve had with a role, and my long, long lanky arms finally felt like they had a place in her awkward swimmer’s body. My honourable mention goes to Liesel in The Sound of Music. I was obsessed with the scene from the movie when she comes in through the window soaking wet from the rain after a rendezvous with Rolf. As a sixteen-year-old, I felt sooooooo incredibly #blessed to play that myself, on stage. Do you have a dream role you’d still like to play one day? How did you get involved with Dry Land? One of my teachers at Ryerson, Marianne McIsaac, recommended me to Jill Harper to audition, (thank you, Marianne!!!) When I first read the script I had an overwhelming feeling of “Yoooo”, because I knew I was reading something good that I wanted to be a part of. I am so grateful the timing worked out the way it did and this show was happening when I was straight out of school and able to audition. The piece dealt with some really big issues and required a lot of vulnerability. How did you prepare for that? The sweetest part of the whole Dry Land experience was working alongside Veronica Hortiguela, who played Amy. Veronica and I studied at the Ryerson School of Performance together, so most of the preparation for vulnerability was the last four years we’d spend as classmates and close friends. We were really lucky in that way. I cannot say how much of a dream it was to do this with V, whom I love and admire so much as an actor, and a friend. We were coming from a place where we weren’t always given the opportunity to feel comfortable and safe while on stage. For that reason, we were determined to create that space for ourselves. We succeeded in doing so with the help of Jill, our stage manager Hannah MacMillan, and the rest of the Cue6 Team who were always incredibly supportive. Was it a difficult piece to shake off at the end of each performance? I made an effort to actively chill out each night after the show. I would walk home and listen to my playlist, mostly composed of Avril Lavigne (my kind of chill-out). That being said, it was an entirely different show for Veronica, who was required to be in a difficult place, mentally and physically. I feel so fortunate that we were able to come backstage after what was an emotionally exhausting scene to the love and humour of the rest of the Dry Land cast: Jonas Trottier, Reanne Spitzer and Tim Walker. They were waiting with open arms, and our costumes for a quick change. Your director Jillian Harper is also nominated. What stands out in your memory from your experience working with her? When, I met Jill at my audition she was so cool and I thought, “Oh, this is really too good to be true.” I love Jill. She is so good at what she does. That is what really stands out to me— her excellence as a director. I felt like I could try anything because there was trust in me as an actor. That was very refreshing, post-theatre school. We had so much fun, and I wouldn’t mind if she directed me until the end of time. What were some of the most memorable interactions you had with audience members reacting to the piece? The most memorable interactions I had were often in our talkbacks with Planned Parenthood. We were lucky to have incredible representatives from the Planned Parenthood team come in and lead a discussion after a few shows. To listen to people talk about their own experiences with accessibility to abortion (or lack thereof) was hard. I remember sitting in the lobby of the Assembly Theatre and the discussion reaching a point of “Wait, really? That’s happening in Canada?” There was often the idea that these issues were only persistent in the US, but the Planned Parenthood reps made it very clear that was not the case. After each of these discussions it became increasingly obvious why this play was necessary. I just finished my time on a short film Breaking Up for the Modern Girl, created by Sydney Nicole Herauf’s art haus (notice me) KID VICIOUS. I will be back at the Assembly Theatre in June with (notice me) KID VICIOUS, in a double bill — Pour Back Into Me and Everything Around Me Is Falling Apart and Here I Lay Bleeding. Planned Parenthood Toronto is outstanding! They are providing essential access to sexual and reproductive health programming and services. If you are able, here is a link to donate.